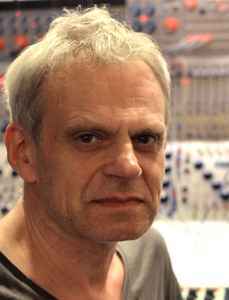 Frank Bretschneider (born 1956 in Obercrinitz, East-Germany) lives and works as a composer in Berlin. Still in the GDR he founded the tape-label klangFarBe. Later he co-founded the Raster-Noton label in 1996.
monumental artist in the electronic movement,clicks cuts experiment ritme beats.......he had it all in his soundwall !